Maybe directly to the right of the health, and with a background. It may be a personal preference thing, but it looks off at that spot. If I were to choose between those two though, I'd probably choose it with the cross. The goddamn Player Status Effect 'logos' don't move along the X Axis. I want to get it above the health. How do I do it? MightyThe goddamn Player Status Effect 'logos' don't move along the X Axis. I want to get it above the health. How do I do it? [quote=Mighty]The goddamn Player Status Effect 'logos' don't move along the X Axis. I want to get it above the health. How do I do it? Basically make an element that is the position you want and then you pin the icon to that. I really don't understand that at all. I put it in hudplayerhealth.res and it just made a blue vaccinator icon stay on my screen. Stopped trying after that. But how exactly do you position using that? [s]I really don't understand that at all. I put it in hudplayerhealth.res and it just made a blue vaccinator icon stay on my screen. Stopped trying after that. Can anybody post a general HUD checklist on changing up EVERYTHING starting with the stock HUD? I've done 90% of everything in Rays' tutorials, so right now I don't know where to go. how to remove the overheal/buff cross? monothow to remove the overheal/buff cross? Go into hudplayerhealth.res, and adjust the wide/tall values of "PlayerStatusHealthBonusImage" to make it smaller. [quote=monot]how to remove the overheal/buff cross? Hey how could I make this blue bar (it changes red when on red team) gray? "fillcolor"   "INSERT RGB VALUE HERE"
"fillcolor" "INSERT RGB VALUE HERE"
how do i remove this ugly guy? How, if it's possible, do I get rid of this server control panel? I have no use for it, but love the hud! deguCZhow do i remove this ugly guy? find "HudPlayerClass" and "PlayerStatusClassImage" and change their "visible" from "1" to "0"
[quote=deguCZ]how do i remove this ugly guy? monot deguCZhow do i remove this ugly guy? [quote=monot][quote=deguCZ]how do i remove this ugly guy? 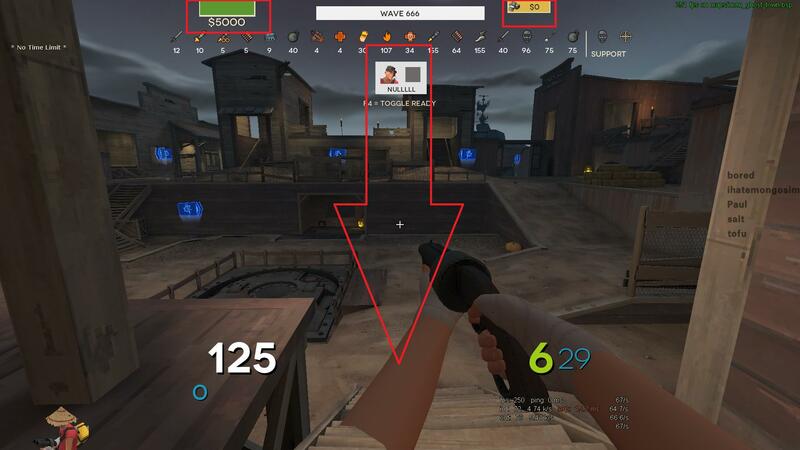 How do you transfer Weapon Meters between HUDs? Figured it out from Flame's HUD Guide. Hey so i got this problem, i recently installed RaysHud because i wanted to customize a hud and since rays uploaded a bunch of tutorials i thought i should try and customize my own. 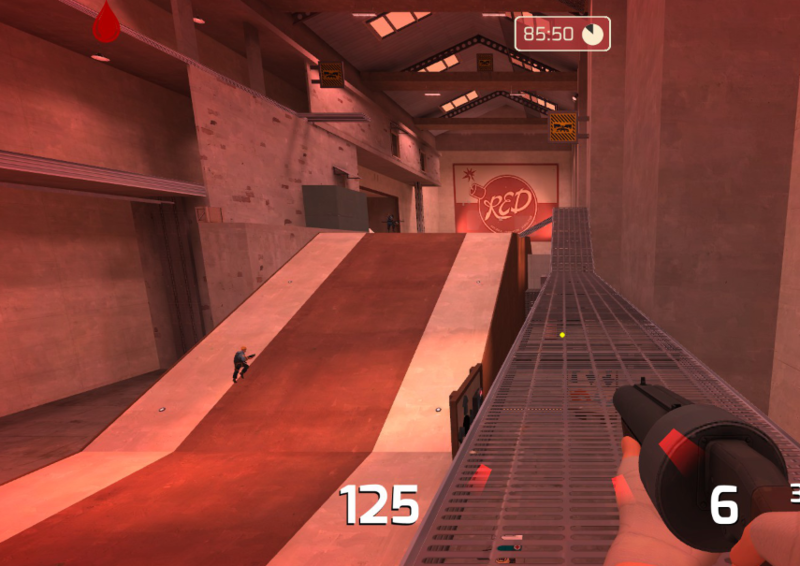 Now the problem i got is that the font i want to install, does not look like it should ingame, after installing the font, the ammo/hp numbers and everything that changed, doesnt look like the old font, nor the new font, just some new random font, no idea where that is coming from. Well, i cant tell you exactly where you did something wrong, but this is just the default font that appears when the given font couldnt be found ( is that english ? ). Im not sure if this indicates where the mistake could be, its just my personal experience that misstakes happened quite often when naming the fonts. I am not entirely sure, but i think you need to take the name that appears on top of the window when you open up the font in Windows, and not the filename. StevokenivoHow, if it's possible, do I get rid of this server control panel? I'll make a version of the main menu that's got the server control panel removed. Expect it within a day or two. If you want it gone now go to mainmenuoverride.res and near the top is all the server stuff, it's quite clearly labelled, just delete all of it and save. [quote=Stevokenivo]How, if it's possible, do I get rid of this server control panel? _Kermit StevokenivoHow, if it's possible, do I get rid of this server control panel? [quote=_Kermit][quote=Stevokenivo]How, if it's possible, do I get rid of this server control panel? edit: i guess you could make it an option either way right? Fire Feyne... Well, i cant tell you exactly where you did something wrong, but this is just the default font that appears when the given font couldnt be found ( is that english ? ). Im not sure if this indicates where the mistake could be, its just my personal experience that misstakes happened quite often when naming the fonts. I am not entirely sure, but i think you need to take the name that appears on top of the window when you open up the font in Windows, and not the filename. I rechecked and i did use the correct titel/name, thx anyways! FeyneHey so i got this problem, i recently installed RaysHud because i wanted to customize a hud and since rays uploaded a bunch of tutorials i thought i should try and customize my own. Now the problem i got is that the font i want to install, does not look like it should ingame, after installing the font, the ammo/hp numbers and everything that changed, doesnt look like the old font, nor the new font, just some new random font, no idea where that is coming from. if you are sure you installed everything correctly in the clientscheme, try installing the font to your system by right-clicking it and pressing "install"
[quote=Feyne]Hey so i got this problem, i recently installed RaysHud because i wanted to customize a hud and since rays uploaded a bunch of tutorials i thought i should try and customize my own. Now the problem i got is that the font i want to install, does not look like it should ingame, after installing the font, the ammo/hp numbers and everything that changed, doesnt look like the old font, nor the new font, just some new random font, no idea where that is coming from. 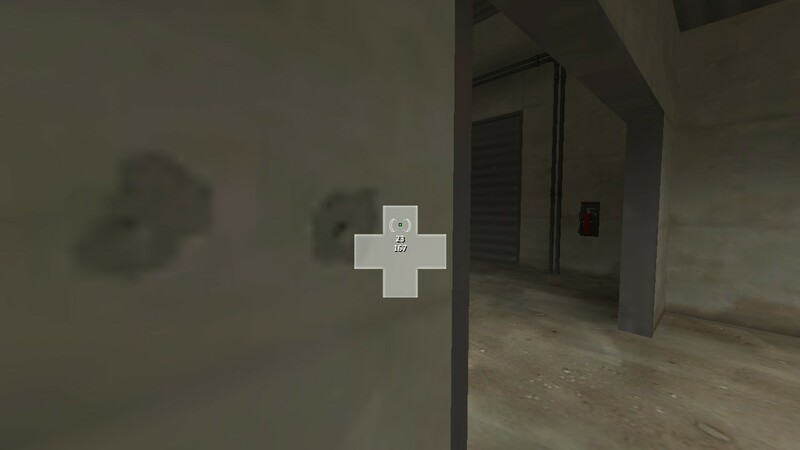 Can anybody tell me how to properly switch Charge Meters between HUDs? I've been trying to figure this out for the last 4 Hours... But every single time I switch the charge meter on my HUD, something gets broken. What I was doing was taking the hudlayout.res information on HudItemEffectMeter, HudDemomanCharge, HudBowCharge, along with HudFlameRocketCharge, and replacing the default hudlayout.res information. Then, I Copy Pasted the respective files for the meters, and replaces the fonts for the Labels that tell you which meter corresponds to what. Most of the other issues were easy fixes, but these ones are getting me really pissed. I'd love to get an answer to this question, I'm quite fascinated about this. 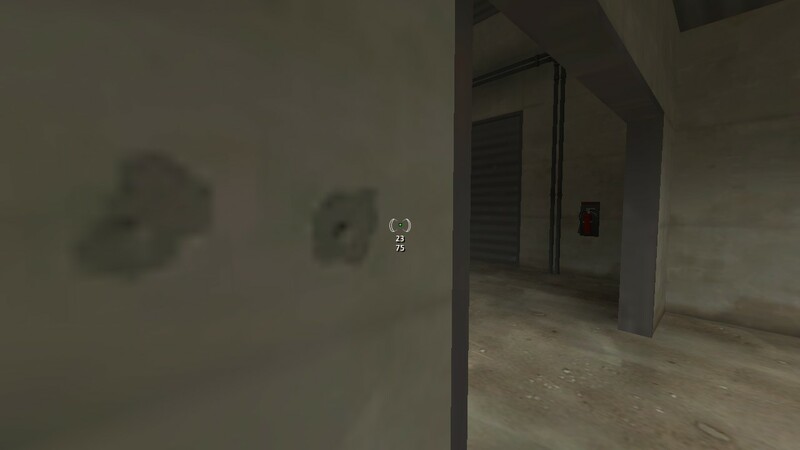 Anyway my question is how do you get a gif or a image in the loading screen when joining a map similar to how colly had a cat moving it's head in QTCHUD or Pac-Man walking in SmugHUD? I'm not sure about this but its might depend on what HUD you taking the bars from. 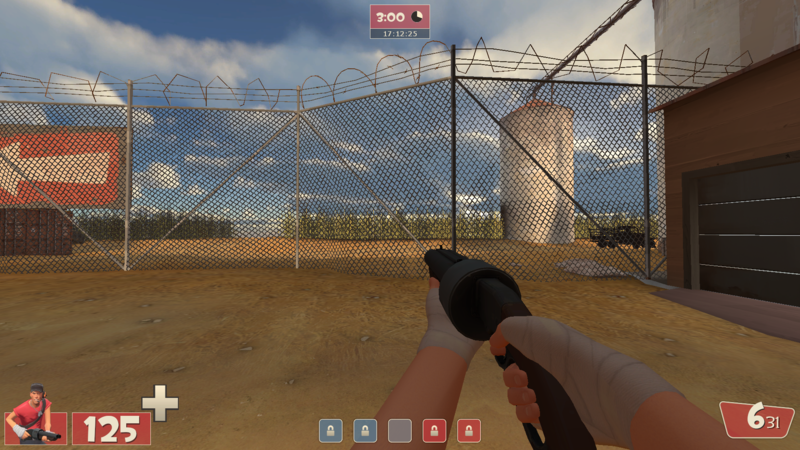 How do you move the f**king Demoman charge meter? MightyHow do you move the f**king Demoman charge meter? 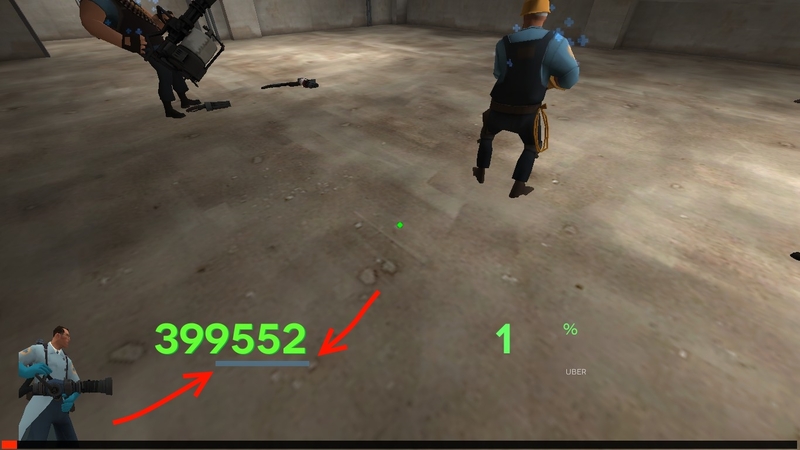 [quote=Mighty]How do you move the f**king Demoman charge meter? Stevokenivo _Kermit StevokenivoHow, if it's possible, do I get rid of this server control panel? Added in a new menu without the control panel. [quote=Stevokenivo][quote=_Kermit][quote=Stevokenivo]How, if it's possible, do I get rid of this server control panel? how would I go about moving both of these currency panels to the bottom?